A few years ago, farmers in northern Michigan approached Taste the Local Difference (a social enterprise of the Groundwork Center), and asked if they could help encourage the use of local foods at events. Events were surging—and still are—in northern Michigan, and farmers saw a ready market. A collaboration with TLD made sense because its mission is to market local foods as a way to keep the local ag economy strong and to have people eat healthier food. In response, TLD launched the “Certified Local Food Event” program. Event promoters who qualified could use the “Certified Local Food Event” insignia in marketing. In theory, the certification would appeal to people who support the culture of local food, and the program would create a spiraling upward effect. Event-goers would seek events having local food certification, and more event planners would then want to qualify, and then local farmers would have more and more event planners purchasing more and more local food. To qualify, an event would have to prove that at least 20 percent of food costs (excluding alcohol) were attributed to local sources. TLD would play the role of verifier: event planners would submit a report of food costs—kept completely confidential by TLD—and our staff would calculate the percent that was locally purchased. Events pay $300 for the certification review. TLD’s commitment to holding cost information completely confidential, including signing non-disclosure agreements, was an essential piece for event planners signing on. Learn more about how to certify an event! TLD gave a lot of thought to the 20 percent threshold. We wanted a percentage that felt attainable, a number that would encourage event planners to become certified, and then build the percentage up from there. The first year TLD made the certification available, 2016, 13 events qualified as a Certified Local Food Event. Groundwork’s Harvest Dinner was the first (last year the dinner had 95 percent of food sourced locally!). This year so far, TLD had already certified 33 events by September 1. Since the program’s inception, more than 35,000 attendees have enjoyed a Certified Local Food Event, and the average percent of local food at those events is 54 percent! Photos: Top, Brian and Amy Tennis, of Michigan Hop Alliance. 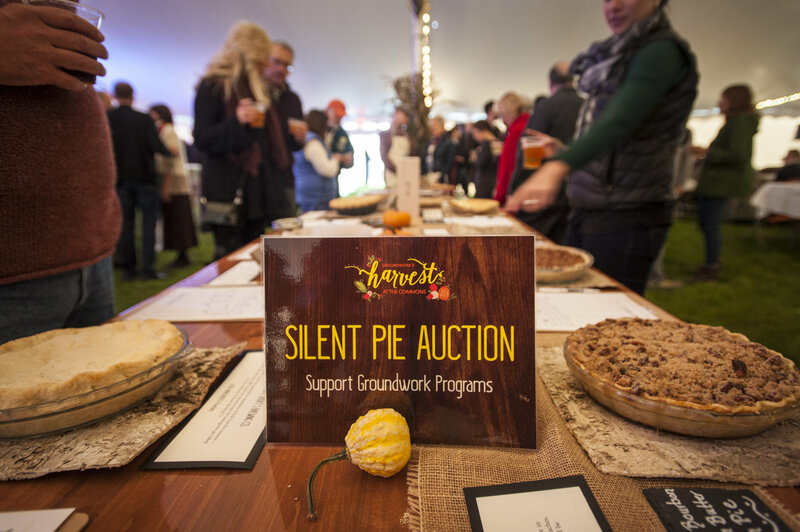 Below, Local-ingredient pies for auction, including a bourbon brown-butter peach pie that went for $250! As we look ahead, TLD is contemplating local foods certification for restaurants or, say, certifying event planners, wedding venues … We’ll see where this goes! It’s all about creating a culture of local foods because local food is good for our economy, our environment and our health. downloable PDF at the Taste the Local Difference website!